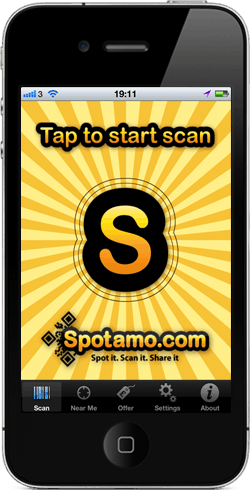 Spotamo is a modern, forward thinking software development and marketing company that combines the power of social networking sites, the popularity of mobile applications, and the increased consumer demand for exclusive discounts and rewards. By using our custom-built software, we are able to offer businesses the ability to create their own offer-based social marketing campaigns with the flexibility to change their offer at any time. Bundled together with a suite of analysis tools, Spotamo provides a powerful platform designed to allow its partners to promote their products & services online and on the high street. Our mission is to be the market leader in providing independent businesses with cost effective social marketing using mobile technology, enabling them to engage their existing customers and expand their reach to thousands of new ones instantly. We aim to make Spotamo visible on every high street in the UK by giving independent businesses the right tools and innovative ways of attracting and rewarding customers, enabling them to prosper in today's ever-changing environment.